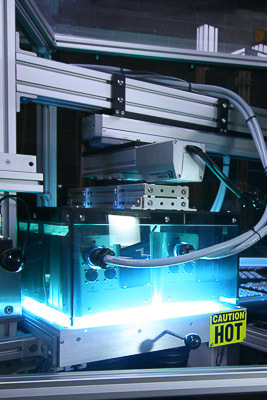 We've designed and built equipment to load parts automatically and semi-automatically in 1-Up to 36-Up printing and marking systems. Parts are loaded by hand, by vibratory feeder bowl, by magazine or other loading methods and placed onto conveyors, rotary dials and carres or in-line transfer systems. 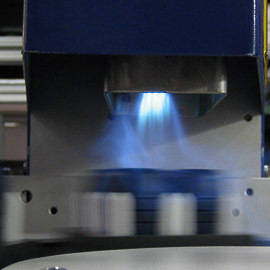 We've developed vision inspection systems to inspect print quality on photorealistic printed images. 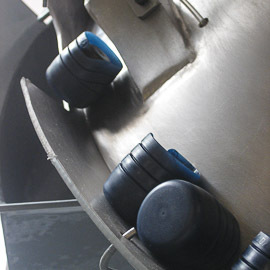 A bucket elevator carries tokens to a hopper and into a vibratory feeder bowl. 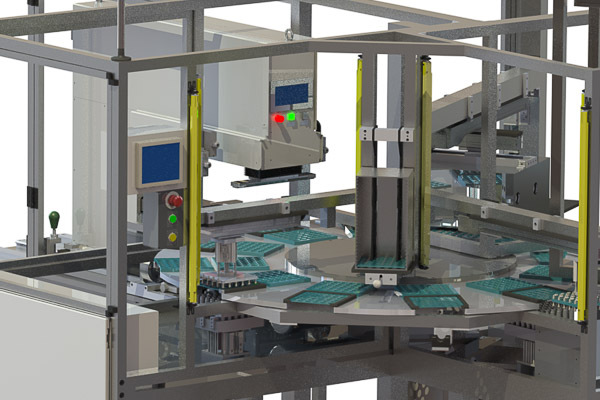 The vibratory feeder bowl feeds tokens down a chute and a vision system and diverter orients the tokens correct side up onto a conveyor. 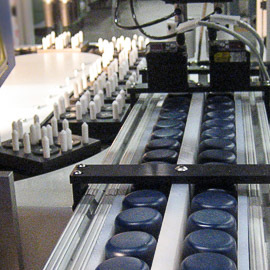 Downstream vision systems capture the position and rotation of the token and two SCARA robots pick the tokens from the conveyor and place them onto carres. The tokens are flame treated and pad printed with up to 5 colors capable of creating photorealistc images. 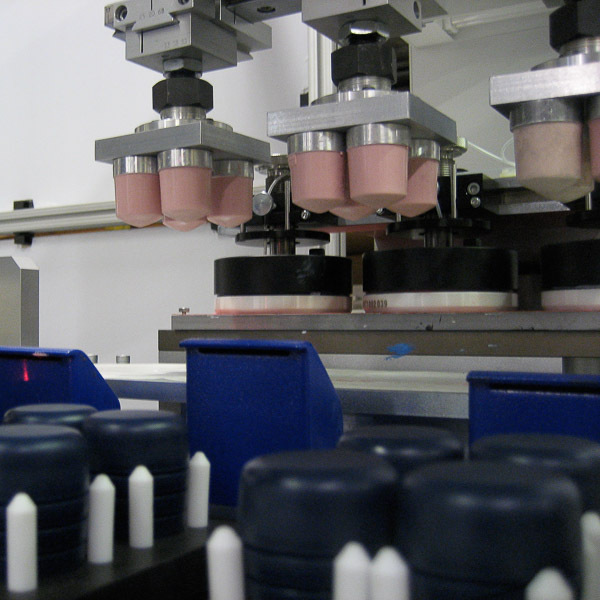 The tokens are inspected for print quality and ejected back to the conveyor for further processing. 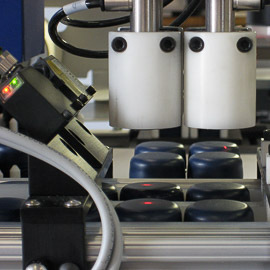 Custom Automatic Pad Printing System to automatically feed and advance four (4) bottle caps, heat treat, pad print three (3) color logo and automatically eject completed parts. 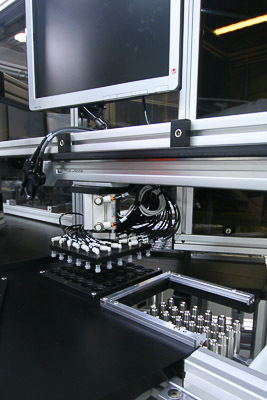 Mold Printing System for a medical device with an operator loaded tray, an automated disassembly, raised pad printing system, UV cure, vision inspection system and intelligent re-assembly and reject system. 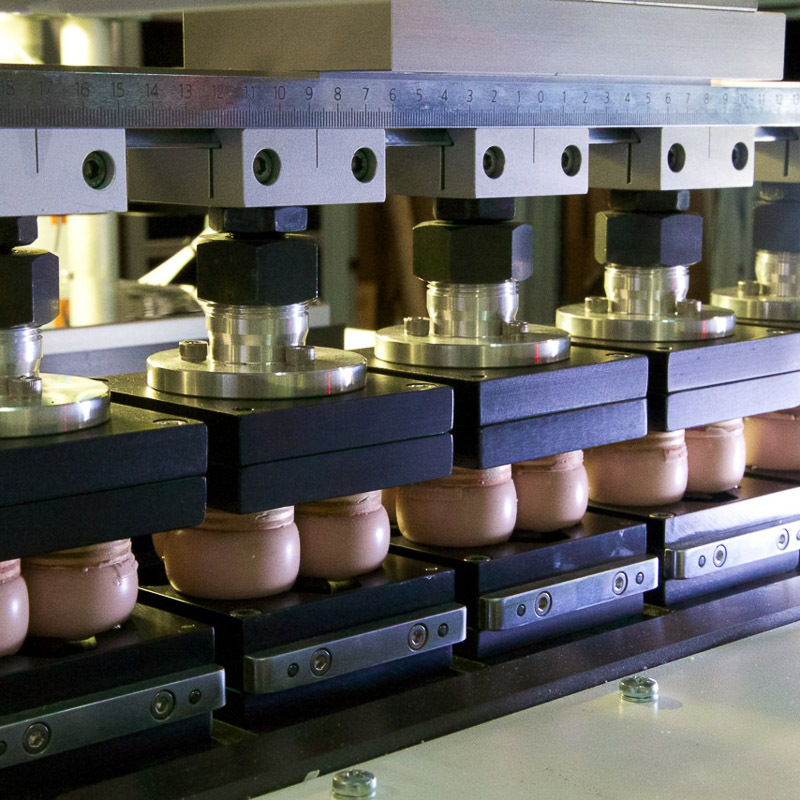 Tumblers are transferred by a load conveyor. One tumbler is picked up and loaded onto a carre. Tumblers are pad printed on one side with one or two colors. They are rotated 180 degrees and printed on the opposite side. Printed parts are offloaded to an offload conveyor.